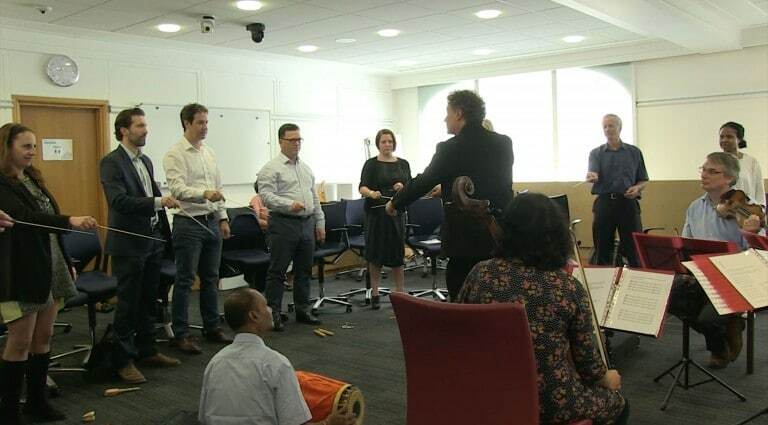 Leading conductor David Murphy held this interactive workshop presented by Sinfonia Verdi in association with the Bagri Foundation. Leaders in the business world, like conductors in the world of music, range in ability from great, to mediocre, to worse than useless. The principles of leading are demonstrably the same for both worlds. In the workshop business executives explored leadership and teamwork issues in their most primal form – without words.